“One picture is worth ten thousand words. Images are powerful communication tools and the UNG Libraries subscribe to a fabulous collection, Artstor Digital Library. Artstor Digital Library shares almost 2 million images in the arts, architecture, humanities, and sciences from museums, photo archives, photographers, scholars, and artists for teaching and educational use. Any UNG student, faculty, or staff member can immediately start searching and using images through the Libraries’ link to Artstor on campus. You can also opt to create an account to save and organize images into collections and write personal annotations. Faculty and staff may also request “instructor privileges” that allow additional folder rights and the ability to upload your personal images (Login, click My Profile, then click Instructor Privileges tab). The tools within Artstor allow you to easily export images directly into PowerPoint or use their offline presentation tool (OIV) to zoom in to see minute details of a work for presentations. 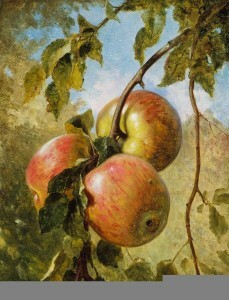 Apples; Thomas Worthington Whittredge (1820-1910); United States; 1867; Oil on canvas; 38.73 x 30.8 cm (15 1/4 x 12 1/8 in.) 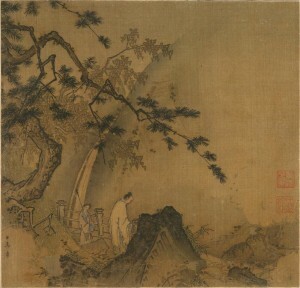 This image was provided by Museum of Fine Arts, Boston. All rights reserved. (see footnote). Looking for ideas on how to integrate images in your teaching? This collection is more than “fine art” to be used to teach Art History. Check out Artstor’s case studies and curriculum guides! You can find them at the Teaching Resources link under the Browse section in the Digital Library homepage. (If you’re visiting Artstor on your phone or tablet, you’ll find the case studies under Global Folders.) Artstor’s curriculum guides are broken down into topics or themes, each composed of approximately ten images that illustrate or support the subject. Artstor’s case studies describe the innovative ways subscribers in a variety of disciplines are using the Artstor Digital Library in their teaching, research, and scholarship. Looking for images for your own publications? Select images in Artstor are part of the Images for Academic Publishing (IAP) program. 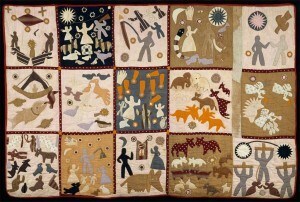 Initiated by The Metropolitan Museum of Art in 2007 to help address the challenges of scholarly publishing in the digital age by providing free images for academic publications through an automated Web-based service, the Images for Academic Publishing (IAP) program makes available publication-quality images for use in scholarly publications free of charge. All IAP contributors are Artstor image contributors and you can use Artstor to search for IAP eligible images. Use the Keyword Search and add IAP to your search criteria. Click (the IAP icon) to download a high resolution file for publication. A new window will open explaining the process. If you are eligible for the program, click Proceed. In the next window, click Download. In the next window, review the IAP Terms and Conditions of Use. You may also print this window for reference with the print link at the end of the document. Check the box indicating that you have read and accept these terms before clicking Continue. Provide the information requested in the space provided. Click Download. Two windows will open. One warns this download will take some time. The other shows your computer’s directory, where you can choose a place to save this file and continue to download as usual. Want to learn more about Artstor? Artstor offers a webinar series that cover both the general usage and Artstor tools as well as subject specific sessions such as “More than Just Art: Image of Psychology” and “The Do’s and Don’ts of Image Copyright and Image Use”. Also, their support center has a wealth of learning aids in a variety of formats for just in time learning. *All images provided are available for uses permitted under the ARTstor Terms and Conditions of Use, such as teaching and study, as well as for scholarly publications, through the Images for Academic Publishing (IAP) initiative. Please review the IAP Terms and Conditions of Use.